From the coming year, JEE Main examination will be conducted by National Testing Agency (NTA) instead of the Central Board of Secondary Education (CBSE), and in that, the question papers will be in the regional language of Gujarati apart from being in English and Hindi. There will however be no place for other regional languages including Tamil, as was the case last year. When regional languages including Tamil find a place in NEET examination, it is not clear as to why this privilege has been accorded only to Gujarati among all the regional languages, in the JEE Main examination. The IIT Advanced Entrance Test for joining IITs and the JEE Entrance Test for joining central government aided educational institutions like IIIT, were being conducted by CBSE so far. From now on, it will be the NTA that is newly constituted by HRD, which will be conducting the all India examinations like JEE Main, NEET, CMAT, GPAT and UGC NET. Article 14 of the constitution declares that all are equal before law. With this sort of a right granted by the constitution, how fair it is to be partial towards Gujarati in an all-India entrance test, while ignoring all other regional languages? In the JEE advanced entrance test conducted by the IITs, the question papers are being given only in English and Hindi. There is no place for regional languages including Tamil, whereas Hindi finds a place there. “Article 14 of the constitution declares that all are equal before law. With this sort of a right granted by the constitution, how fair it is to be partial towards Gujarati in an all-India entrance test, while ignoring all other regional languages? This will give an unfair advantage to the students with Hindi and Gujarati as their mother tongue. All regional languages including Tamil should find a place in this,” says Prince Gajendra Babu, general secretary of the state platform for public schools. 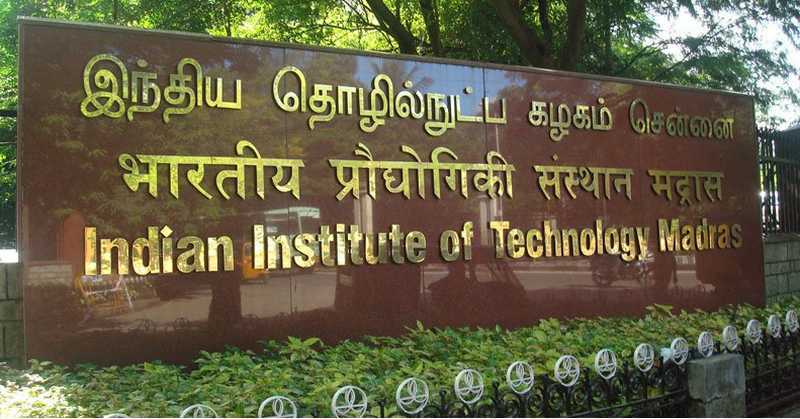 “After allowing the students to study in regional languages like Tamil, how is it possible for such other medium students to take the examinations only in English, Hindi or Gujarati?” ask some educationists, while pointing out that in many cases, the Tamil medium students do not at all get opportunities to study in engineering institutions of national importance. After initially announcing that NEET exam will be conducted twice a year, the central government backed out once again declaring that it will be held only once. But the NTA has announced that the JEE main exam will be conducted twice a year from now onwards. The first of these exams will be held from January 6th to 20th, and the results will be announced on Jan 31st; while the second set of exams will be from April 6th to 20th with the results to be declared on the 30th. “As the exam takes place twice, this will provide one more opportunity for the students to improve their performance. Those who get low marks in the first exam need not have to waste one full year, and instead they can take the next exam in the same year. This is the advantage of this revised system,” NTA has said. Only the higher of the marks obtained in the 2 examinations that a student has taken, will be considered for the ranking list, it has been clarified. “It is not compulsory that a student takes this exam twice a year. But even the students who have done well in the first exam will normally take the second one too, and hence the agency conducting the examination can earn good income through exam fees. Also, the coaching centres too will make good money. These apart, is there any advantage at all in this new system? Further, the students will have to focus heavily on their preparations for taking the main exam twice, once before and once after the plus 2 examination. This will prevent them from concentrating fully on their plus 2 lessons,” cautions P V Navaneethakrishnan, former secretary of the student admission wing of Anna University. Usually, the practical examinations will take place at the beginning of February, and there may be lapse in concentration in respect of some students as there will be JEE main entrance exam in January, some teachers point out. The first paper in JEE main can be taken as a written examination or even as a computer-test. However, from the next year this will only be a computer based test, the NTA has declared. The second papers of the B Arch, B Planning courses in their entirety used to be only written tests earlier, but now the first part of this second paper will remain only as computer based. Its second part alone which is the drawing test will be a written, that is, pen and paper test, that agency has added.